The indicators are produced from data taken from the Student Monitoring Information System (SISE), which counts enrolments (SISE-Inscrits) and graduates (SISE-Résultats). They are calculated on the basis of administrative enrolments, not actual attendance by the student. The data presented here cover all French universities (including the University of Lorraine, which has major institution status, and university centres for education and research (CUFR), and includes New Caledonia and French Polynesia). The population used for each of the qualifications (cohort) consists of students enrolling for the first time on the first year of the corresponding course in a given year. Students who have enrolled at STS, DUT or CPGE at the same time are excluded from the Bachelor's degree cohort. A student is considered to have passed as soon as the degree is awarded, whether or not this is from the institution or discipline in which they enrolled the first year. Bachelor's degrees include vocational Bachelor's degrees (LP). At university, 28% of students obtain their Bachelor's degree 3 years after enrolling in the first year and 40% after 3 or 4 years. These rates have changed little in recent years. Nearly three-quarters of Bachelor's degree graduates enrol on a Master's the following year. Pass rates for Master's degrees have significantly increased since 2007; around 54% of students now obtain their degree in two years and 65% in two or three years. Just over a quarter of Bachelor's degree students obtain their degree after three years: 28% of students enrolled in the first year of a Bachelor's degree (L1) in 2010 achieved a degree after three years, in the 2013 session. One year later, the proportion grew by nearly half to reach 40%. Two years later, it reached 44% for students who enrolled in 2009 (table 18.01). These relatively low rates are essentially due to the many students who give up the course: 46% of students enrolled in L1 for the first time in 2011 were no longer enrolled on a Bachelor's degree course two years later. Some of them had changed to other university courses (4%), mostly technology university diplomas (DUT) (2%), but the great majority had left university (43%) (table 18.02). These trajectories are not necessarily synonymous with failure as some of those leaving university change to other study tracks, such as Advanced technician's section (STS), engineering, management, healthcare or arts schools. The prospects for success on a Bachelor's degree course are strongly linked to the type of Baccalaureate held by the student: although over half of general Bac holders achieved their Bachelor's degree after 3, 4 or 5 years, only 19% of technological Bac holders and 6% of vocational Bac holders did the same. Correlatively, technological and vocational Bac holders are much more likely than general Bac holders to give up their course before the third year: 84% of vocational Bac holders and 71% of technological Bac holders are no longer enrolled on a Bachelor's degree course in the third year, compared to 36% of general Bac holders (table 18.02). The pass rate for students enrolled on a vocational Bachelor's degree is high: 89% of students enrolled for the first time on a vocational Bachelor's degree in 2012 achieved their degree at the end of the year (chart 18.03). This rate significantly exceeds the figures for the final year of a general Bachelor's degree (77% of students enrolled for the first time in L3 were awarded their degrees within one year). The pass rate for vocational Bac holders on a vocational Bachelor's degree (87%) is not very different from that of general Bac holders (91%). The difference in success between students from DUT or STS, which each represent a quarter of the numbers, is also low: 93% for the former and 89% for the latter. Around three-quarters of general Bachelor's degree graduates enrol on a Master's the following year, 10% on a teaching Master's (chart 18.04). Students are more likely to continue on a Master's course if they have a Bachelor's degree in Law (87%), Fundamental Sciences or Life and Earth Sciences (78%) than other disciplines (between 63 and 71%). Among those students enrolled for the first time on the first year of a Master's (M1) in 2011, 54% achieved their degree after two years, and 65% with an additional year (chart 18.05). Only 56% of students enrolled for the first time on M1 in 2007 passed within 2 or 3 years. The increase is linked to a rise in the rate of transition from the first to second year of a Master's, going from 53% to 60% between the 2007 and 2011 cohorts (chart 18.06). 1 As the degree results for the 2015 session are not yet known, the data are not available. 64.4% of students holding a general Bac were still enrolled on the Bachelor's degree course in the 3rd year of observing the cohort. 39.5% were enrolled on the 3rd year of a Bachelor's degree course (general or vocational). 1 As the degree results for the 2015 session are not yet known, the pass rates in three years for M1 entrants in 2012 is not yet known. Cette note de synthèse présente les principaux indicateurs sur le parcours et la réussite des étudiants à l’université. 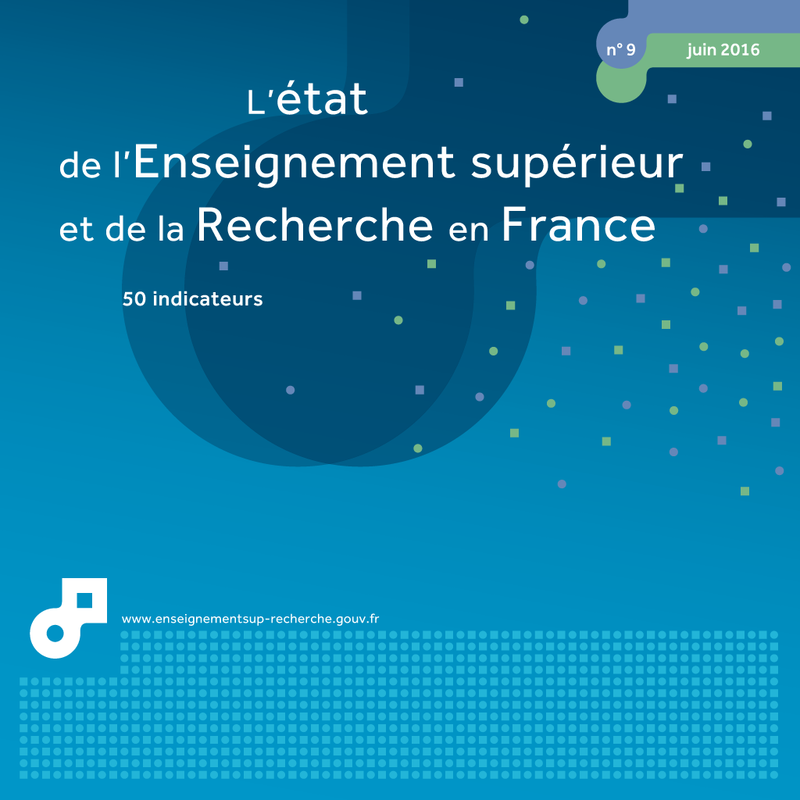 Elle est accompagnée de la publication d'indicateurs complémentaires, l'ensemble étant décliné par université (voir encadré). Ces informations sont publiées pour la cinquième année consécutive. The pass rate was stable for Bachelor's degree programmes, with 40% of students graduating in 3 or 4 years, as well as for University technology diplomas (DUT), where 3 out of 4 students graduated in 2 or 3 years. The pass rate, which correlates strongly with the type of baccalauréat held, does not include qualifications obtained following course reorientations outside universities. The pass rate for Master's degrees was 65% in 2 or 3 years, demonstrating a constant increase.